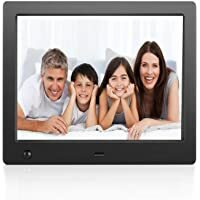 Get Flyamapirit Digital Picture Frame 8 inch Electronic Digital Photo Frame with High Resolution from Amazon.com (via Nostalgia Flashing). : $33.00 via coupon "FIUIY2FW"
Get Polaroid 7" Digital Photo Frame from Target.com. Get SimplySmart PhotoShare FSM08BL 8" 8GB Wi-Fi Digital Photo Frame (Black) from NeweggFlash.com. 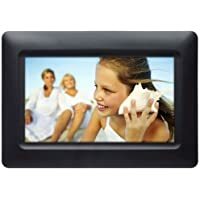 Get Bsimb 8" Digital Picture Frame with Remote (Black) from Amazon.com (via USA Bsimb). 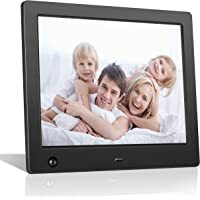 Discount : $25.00 via coupon "ZFDBZ5E3"
Get Flyamapirit 8" Multi-function Digital HD Picture Frame from Amazon.com (via Smart State). 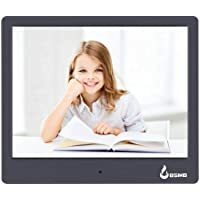 Discount : $22.40 via coupon "MTBJBXZE"
Get Andoer 17" 1440 x 900 Digital Photo Picture Frame with Scrolling Caption Video Calendar Remote Control SD Card Slot HDMI and USB from Amazon.com (via Ellisa-us). 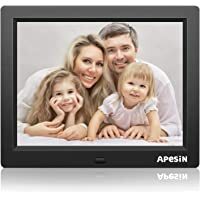 Discount : $39.00 via coupon "26HXWZAN"
Get APESIN 8" 1024x768 Pixels HD Digital Photo Frame from Amazon.com (via Apesin). 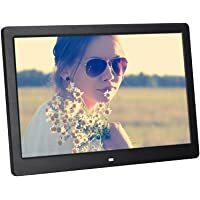 Today only, get SimplySmart PhotoShare FSM08BL 8" 8GB Wi-Fi Digital Photo Frame (Black) from Woot.com.